The Mount Michael cross country team had a great day racing on their home course for the runner-up title. The Knights placed 3 runners as River Cities Conference medalists, Nick Carson 4th, Peyton Hottovy 5th, and Joey Recker 9th. South Sioux City, who won the meet, are considered the favorite to win the state meet in a couple of weeks. The JV Knight also had a great day placed 2nd among junior varsity teams. Thursday will be the District Meet held in Lincoln @ Pioneers Park. Go Knights! 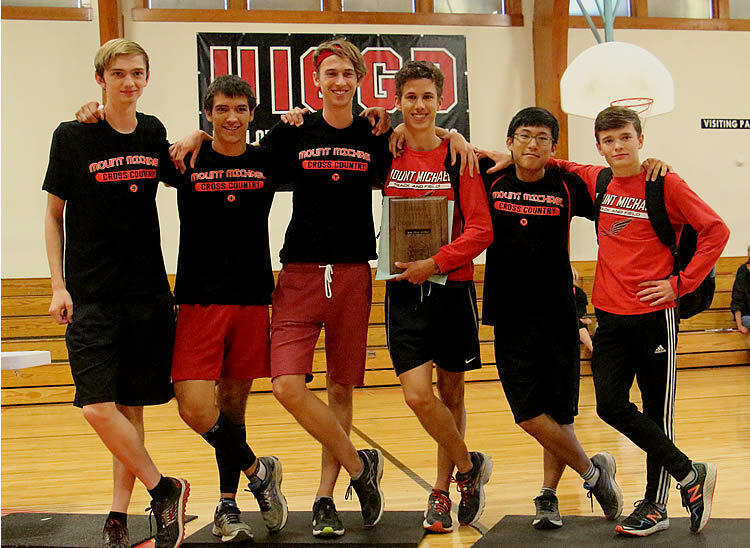 Cross Country: Another Banner Year!